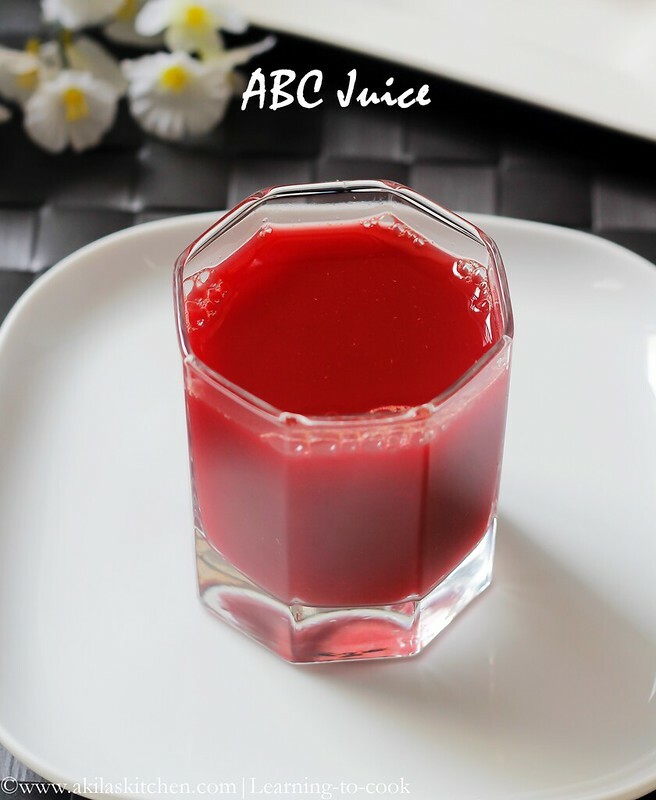 Apple Beetroot Carrot Juice | ABC Juice is such a healthy and tasty juice which helps in purifying the blood and is good source of dietary fiber and vitamin c.
Apple Beetroot and Carrot Juice aka ABC juice is a juice which I started to like 3 months before. Yes just 3 months before only. I really don’t have idea that beet root can be used in the juice. 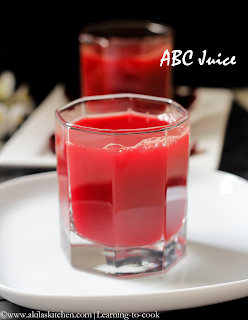 In my office canteen, they opened a new juice shop and in the juices list, they mentioned ABC juice. Wondering what it could be, enquired the shopper and she said it is Apple Beetroot and Carrot juice. I just ordered with a doubt how it might taste and to my surprise, I loved the juice in the first sip itself. From that time, I used to order this juice without sugar and ice. I really love it without sugar and ice. They have a big juice extractor to prepare this ABC juice. Since i do not have it at home, I used my regular mixer grinder to do this, by adding little water and filtering it. Though the outcome was not same like the canteen juice, still I loved it. (Soon will buy the juice extractor… he he he). 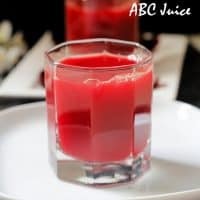 If you have the juice extractor, never miss to try this juice. You can view all the healthy Summer drinks here. The health benefits of apple are, it reduces the risk of lung cancer, colon cancer and decreases the white fat, obesity, glucose intolerance and fatty liver diseases. It is good source of dietary fiber and vitamin c.
The health benefits of beetroot are, it protects again liver disease, lowers the blood pressure, increases the blood flow, good for diabetic patients. Health benefits of carrots, everybody knows that it is a good source of β-carotene, which are metabolised into vitamin A in humans, that helps to improve the poor vision. Besides that, they are rich in antioxidants, and minerals and are used to treat the digestive problems, constipation. (Information got from wiki – apple, beetroot, carrot). 1. Wash the apple, beetroot and carrot nicely. 2. Peel off the beetroot and carrot skin. 3. 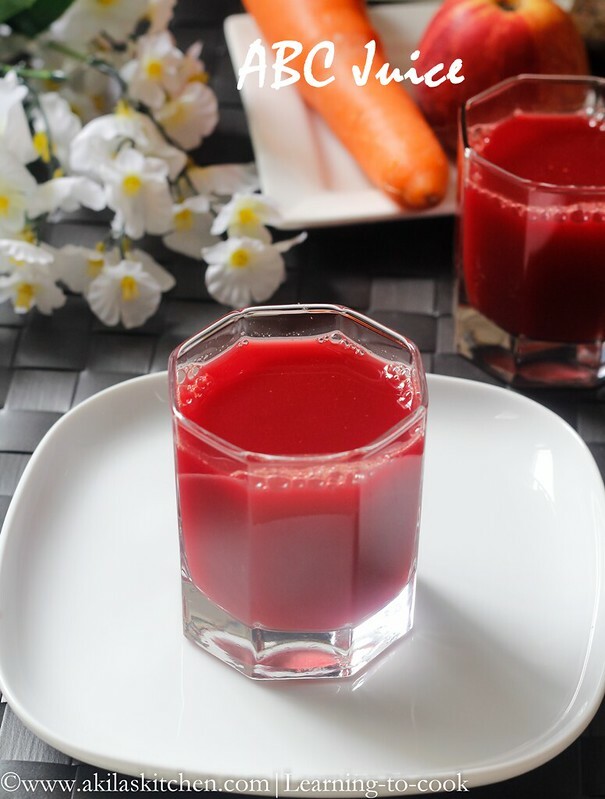 If you have juice extractor, add the beetroot, carrot and apple and extract the juice. Thats it. (tastes superb). If you do not have juice extractor, grate them using the grater. Add to the mixer by adding water. 5. Extract the juice by using a juice filter. (tastes good). If you are grinding using mixer, do not add more water, as it becomes more watery. Wash the apple, beetroot and carrot nicely. Peel off the beetroot and carrot skin. If you do not have juice extractor, grate them using the grater. Add to the mixer by adding water. Extract the juice by using a juice filter. (tastes good). Serve it.Notes:If you like your juice to be sweet, just add 1 tsp sugar. ( But I do not recommend, as it spoils the taste)If you are grinding using mixer, do not add more water, as it becomes more watery. ooooh, yum, looks soooooo delicious and healthy! Loaded with antioxidants. Very nice clicks, yummy combination and health packed juice. Very refreshing and colorful juice. I tried the combination of beetroot + carrot + amla. I am going to try your version too. That is such an inviting juice and I really love the clicks. what a colourful and a lovely drink.Very healthy too. killer pics akila 🙂 like that dark color.. healthy juice with lots of benefits..
Refreshingly healthy looking juice. Must try this one out using your method. A very refreshing and healthy drink. The colour is very nice and tempting. like its color.. healthy.. nice clicks..
Lovely ,healthy juice ….and nice cllick …thanks a ton for dropping by my space.i am follwing you plz follwing me back. 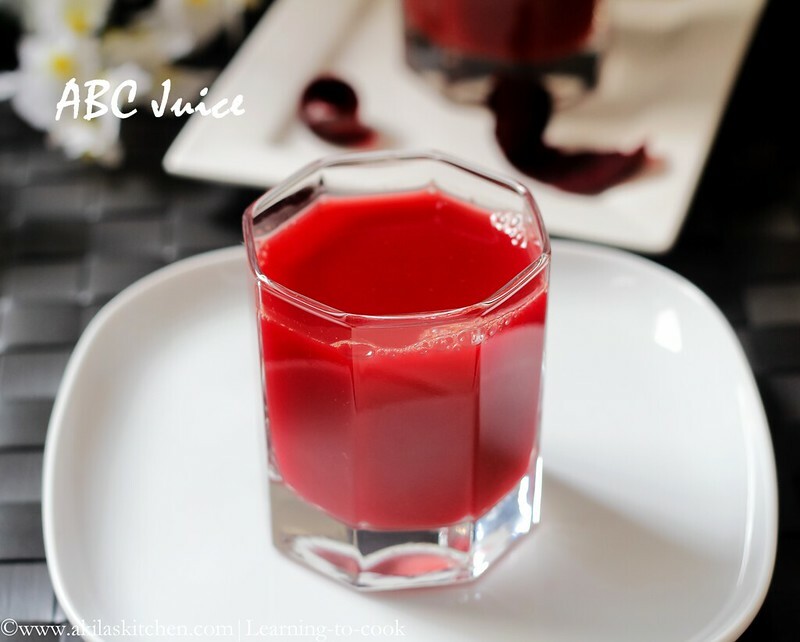 Cool cliks n Nice combo..diference is i Don't strain..
very refreshing and healthy juice, love the beautiful color, superb combo…. lovely healthy juice. Have you tried beetroot and orange and beetroot and watermelon? 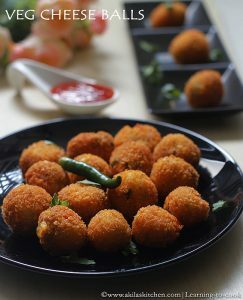 They too taste equally good. I am loving how the juice looks. And also the combination of the types of roots and fruit. For sure its power packed with lotta of nutrients. What an irresistible colour of juice! Healthy and very refreshing. would have been super refreshing drink ..
love this so refreshing!look at the color!